Its time to introduce …… White Whiskers. 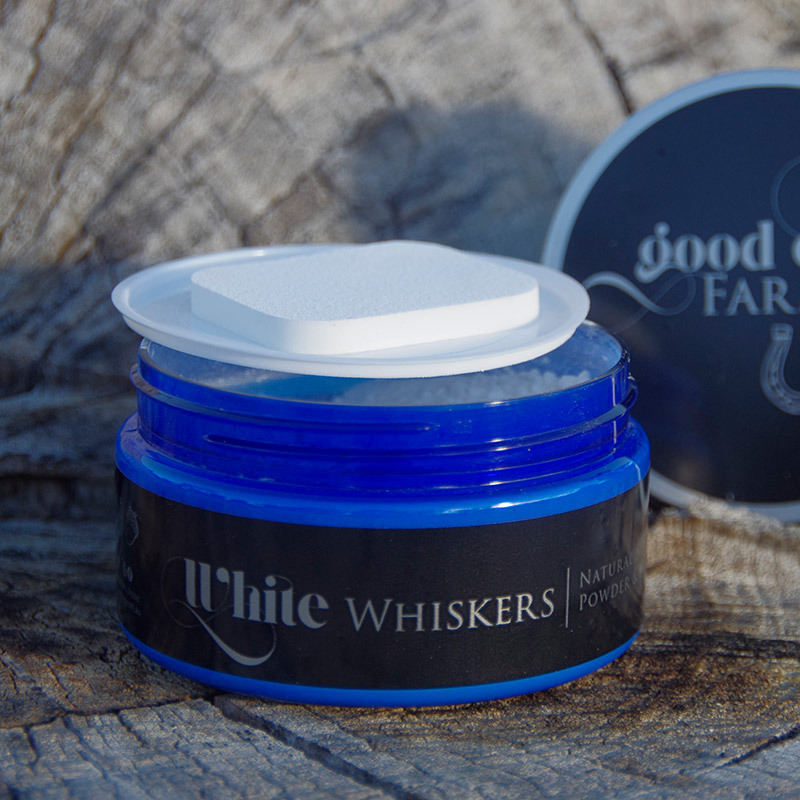 WHITE WHISKERS is made by the Good Earth Farm Company which is run by two sisters and based in the South West of WA. 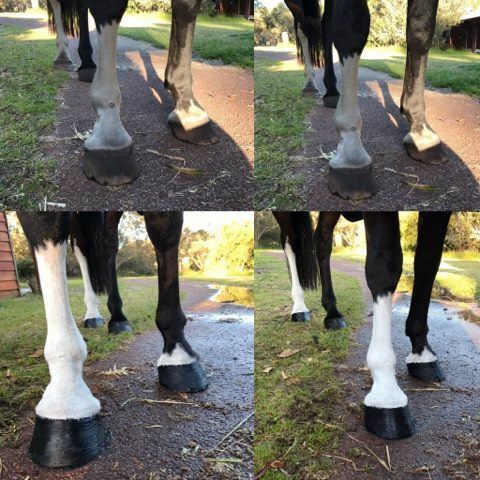 It is a mineral cosmetic product for horses with white socks and blazes. It also contains UV Filters. Perfect for revitalising socks and blazes at home or for show day. Wash the area you with to apply the White Whiskers to. Place a small amount of White Whiskers powder into a container. Add small amounts of cold water to the powder until the right consistence is achieved. The consistency should be the same as paint. Not too watery as you will not get the optimum coverage and not too thick as it will be too hard to spread evenly. Using the small sponge or small paint brush apply the White Whiskers mixture to the area/s you want to revitalise. Perfect for show day for those show ring socks and blazes. If you are preparing for a show, White Whiskers can be applied to the area after your normal washing and trimming preparation the night before. This will help the areas stay bright white and clean overnight. Free shipping available on all orders over $130!